Our goal is to provide a Custom Photography Experience from beginning to end. We want to help you plan your photography session but also deliver high quality, heirloom pieces for you to treasure for yours to come. 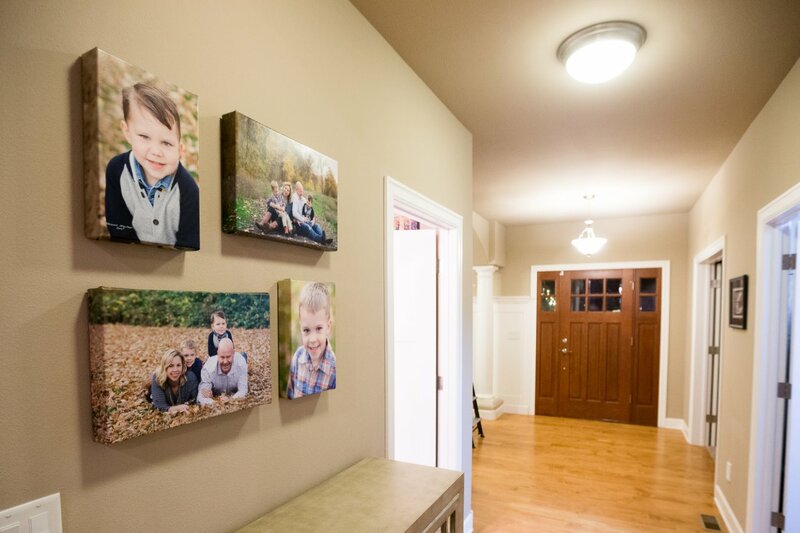 We want our images we design for and with you, of your loved ones displayed on your living room wall, and or coffee table, not hidden in a drawer on a CD. We have searched the World for unique products to offer our clients. We proudly showcase a wide variety of photographic products, such as handcrafted canvas's, albums, folio boxes, etc.. from Australia, New Zealand, Italy, New England, and of course, the USA. 2. Session Fee for a 1-2 Hour Photography Session. (3-4 hours for Newborn Session) This may include spouse, siblings, grandparents, etc.. at no additional charge. 3. A large collection of Elegant Maternity Gowns, Props, and/or Newborn clothes and props are provided. 5. In Person Ordering Appointment where you will choose from a collection of over 30-40 unique pictures and decide which images you would like to print and on what format, i.e., canvas, album, mounted print, matted print with frame, etc... We also display the images on your living room wall, so you see what they will look like prior to ordering. Please see us for more details regarding pricing.